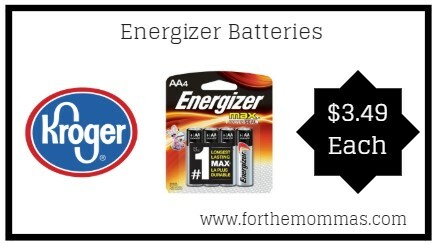 Kroger has Energizer Batteries 4 ct priced at $3.99. We also have a $0.50/1 Energizer batteries coupon available to stack with this deal that will make the final price only $3.49 each! Giant: Kraft Singles Cheese Slices Just $1.50 Each Thru 4/25! ShopRite: Chock Full O’Nuts Coffee JUST $0.33 Per K Cup Starting 4/28!